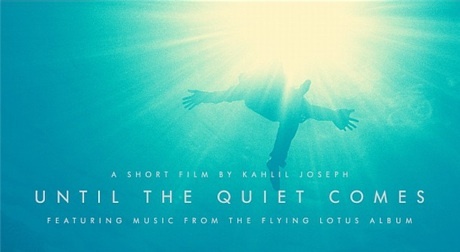 Flying Lotus "Until the Quiet Comes"
Steven Ellison aka Flying Lotus is set to release his new album "Until the Quiet Comes" on the 2nd October and to coincide with his upcoming release he has teamed up with director, Kahlil Joseph to create a short film of the same title. Featuring the songs "See Thru to U" feat. Erykah Badu, "Hunger" feat. Niki Randa and "Getting There" feat. Niki Randa. This short has some of the most striking and vivd imagery I've seen in a while.